The Group A junior branch would include District Ayurvedic Medical Officers, Deputy Superintendents of Ayruvedic Hospitals and Superintendents of Ayruvedic Hospitals while the post of Deputy Director, Ayurvedic would be in the senior branch. All these posts would be filled through promotions. 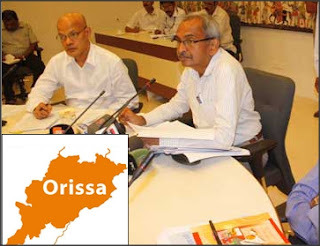 Similarly, personnel under Group-B –Ayurvedic Medical Officers, Drug Inspectors (Ayurvedic), Scientific Officers and Specialists –would be directly recruited by Orissa Public Service Commission (OPSC). The Cabinet decided to do away with interviews for candidates who would now have to clear a written test of 70 marks with multiple type objective questions. Remaining 30 marks would be taken from career marking (10 marks each for Matriculation, Plus II and BAMS courses). Great post! I will surely follow these rules for it is for my own good.Thanks for sharing the post.